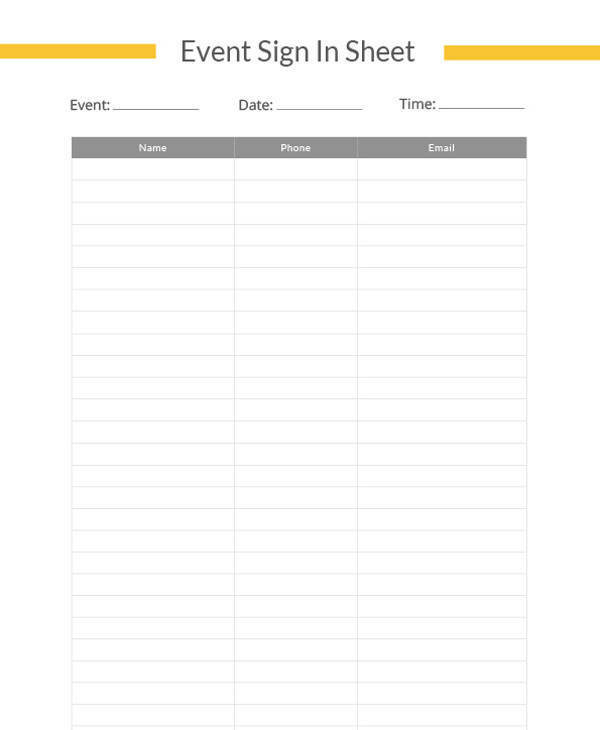 Whenever we are organizing a seminar, workshop, meetings we have to maintain a sign in sheet for the complete record. 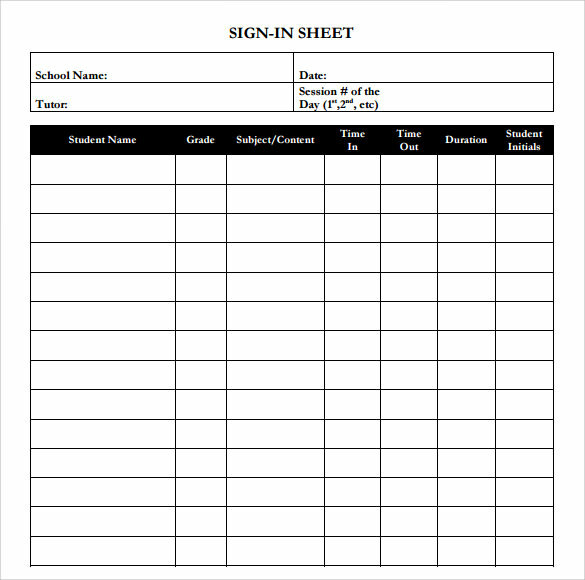 The sign in sheets are very helpful in collecting data, tracking attendance or recording the contact details of delegates. 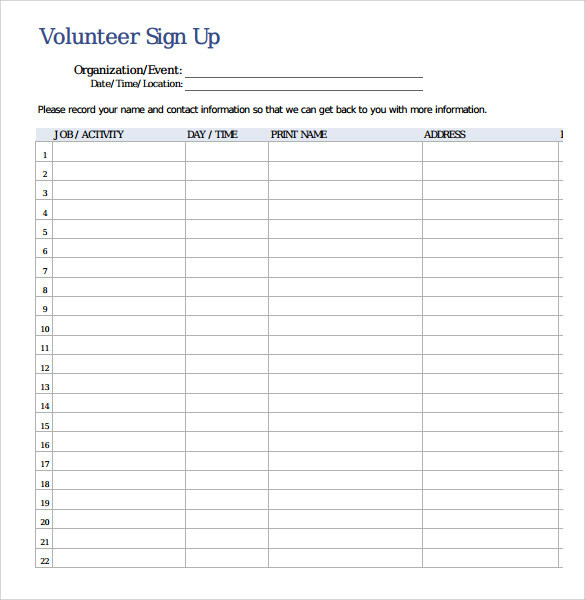 Sign in sheets are very essential for any gathering so as to keep an eye on the number of participants or count the excess number of people making an appearance at the event. 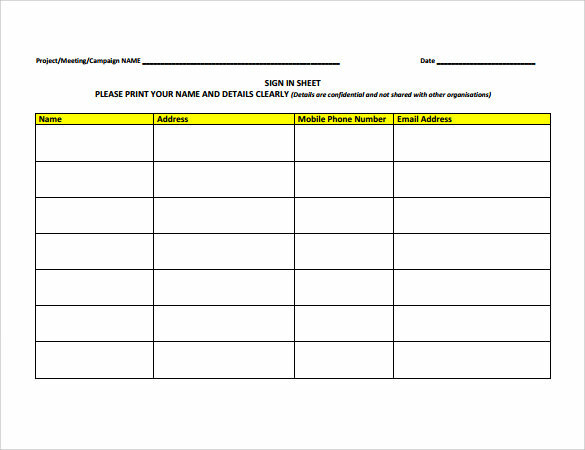 You can also check Sample Open House Sign in Sheet Templates. 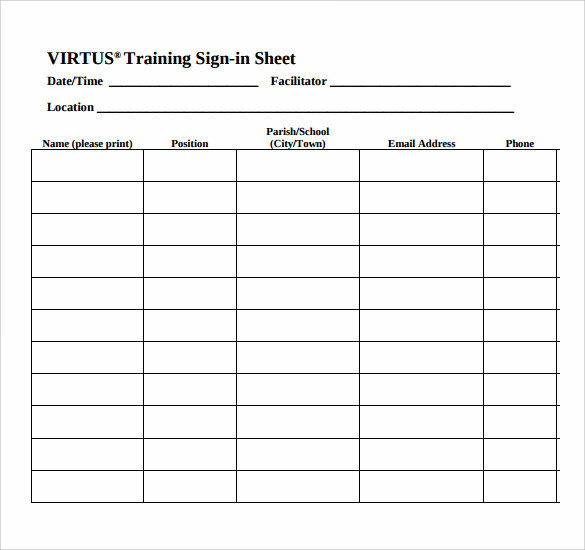 Did you know that a free printable sign in sheet are a good solution for your office, workshop and or seminars? 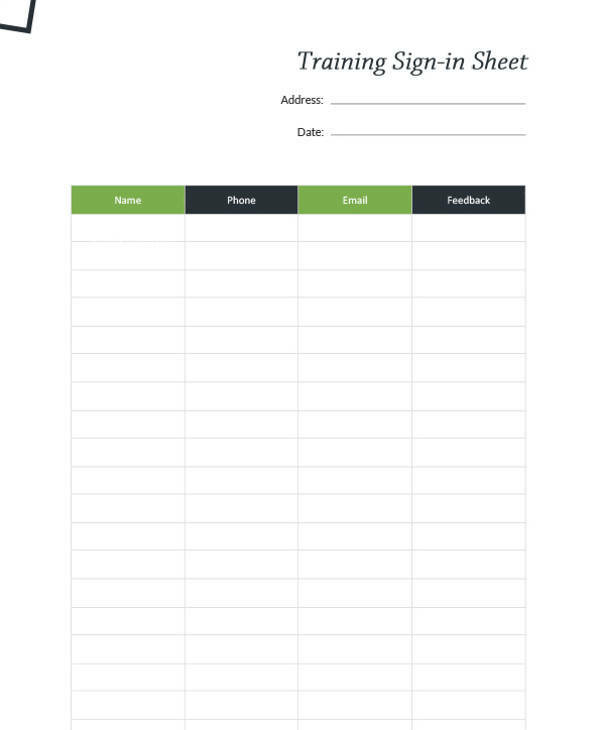 It is a simple solution you can use to record the meetings you have at the office, school, workshop, seminar or at the company boardroom. 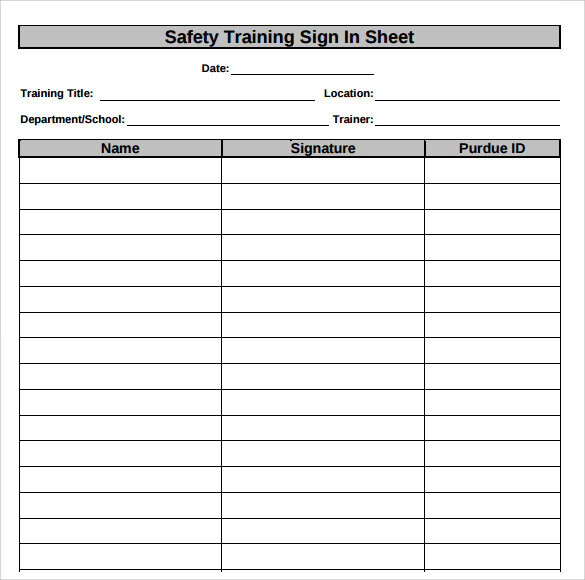 Using sign in sheet template is a quick way to prepare a more personalized sign in sheet. 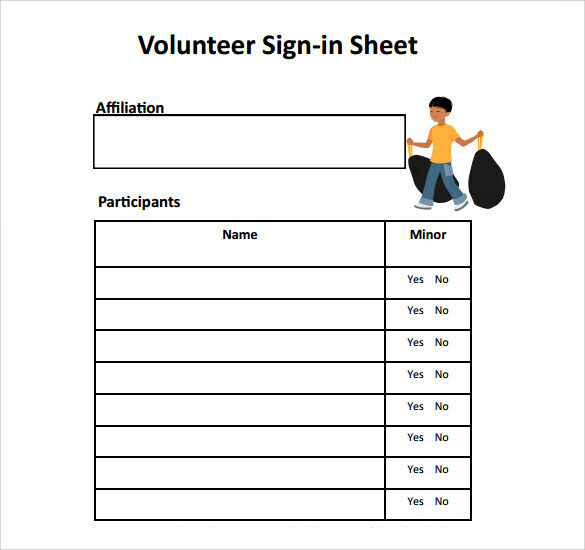 And this is great because since Meeting Minutes are a common factor in any running organization, you can reuse the same template time and again for your future meetings. 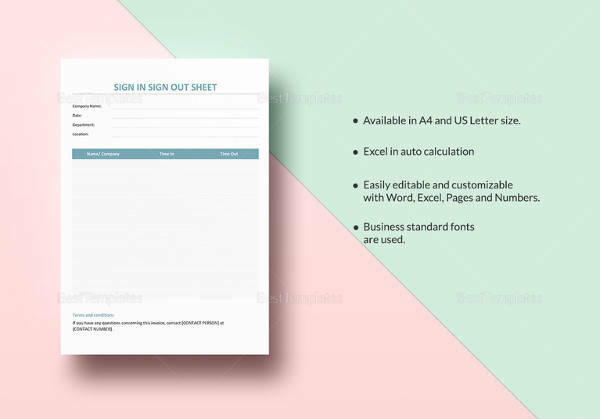 The Sign Up Sheet Templates or Sign in Sheet usually come in different formats. 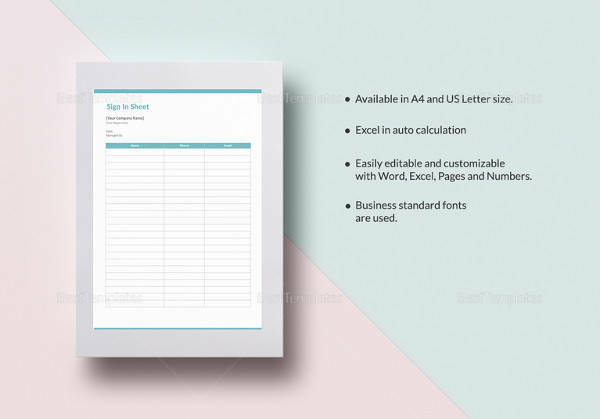 That you can download them in any format free is good news because this means you have options to choose. 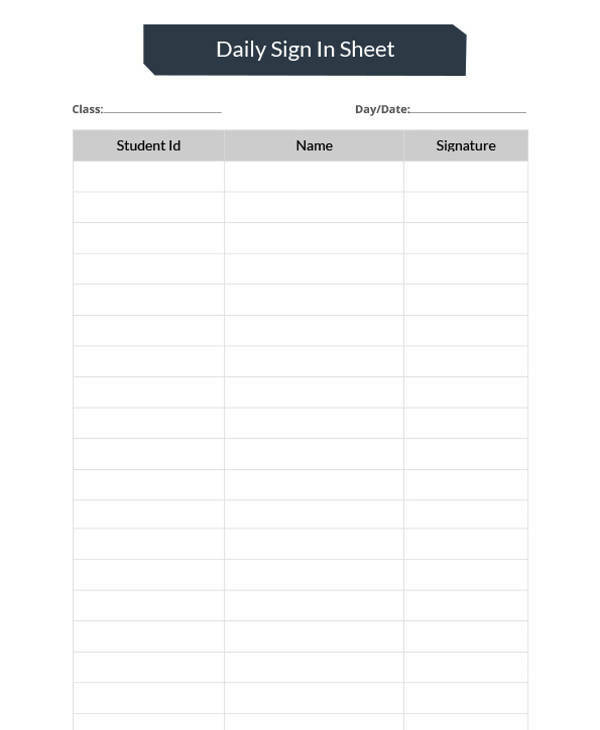 If you prefer PDF files, then feel free to download the PD F version of the template. But you need to make sure you have the latest version of Adobe Reader installed in your computer. 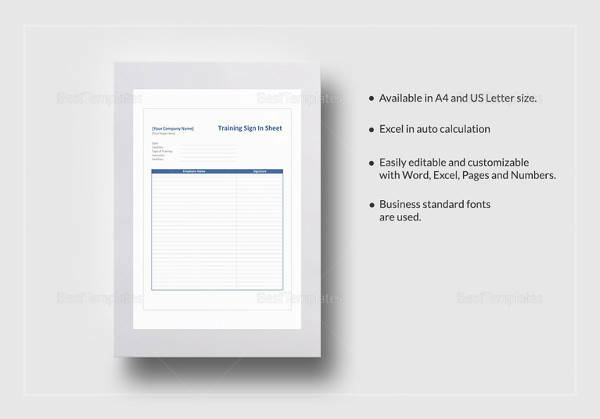 You can also download these free in excel format. 1. 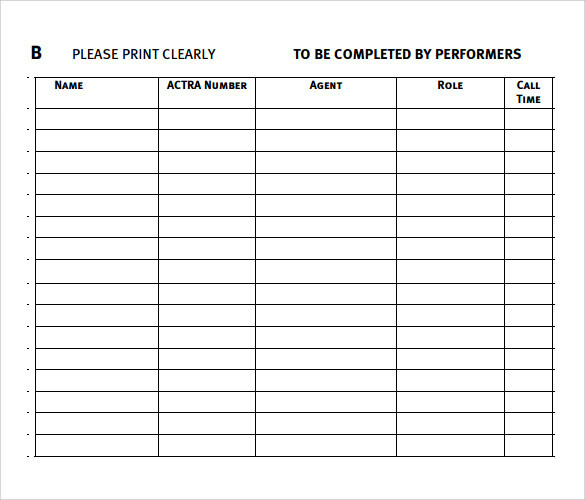 Collects all contact details. 2. 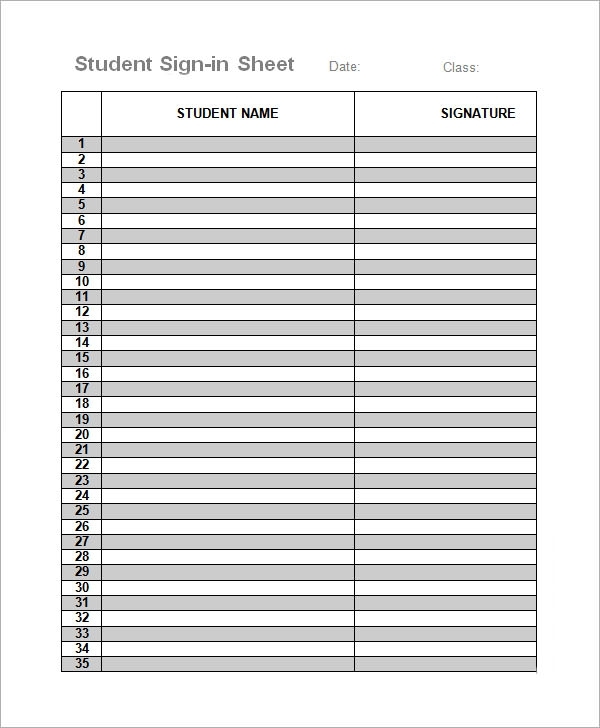 It is like an attendance sheet. 4. It helps in developing future contacts with the clients. 7. During a false allegation in a police case, a person can show his alibi for proof. 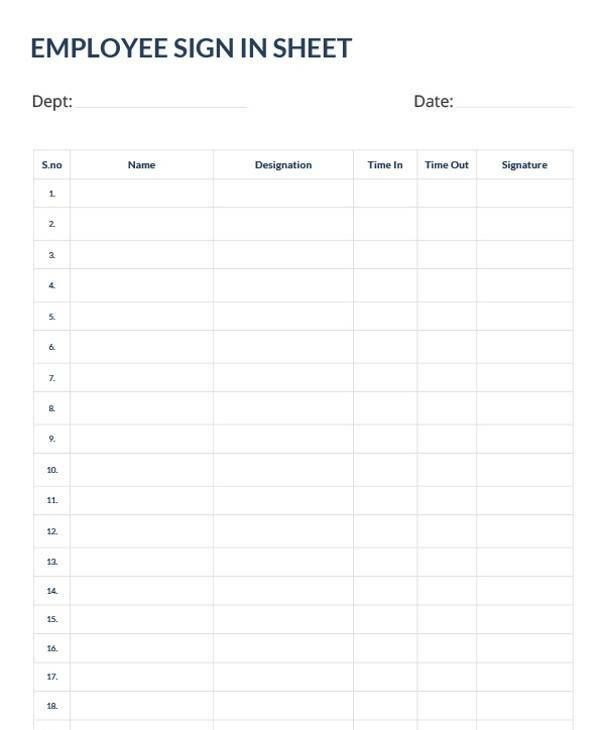 Employee sign in sheets have rows and columns for date entry, time of entry and exit along with space for the name of the employee. 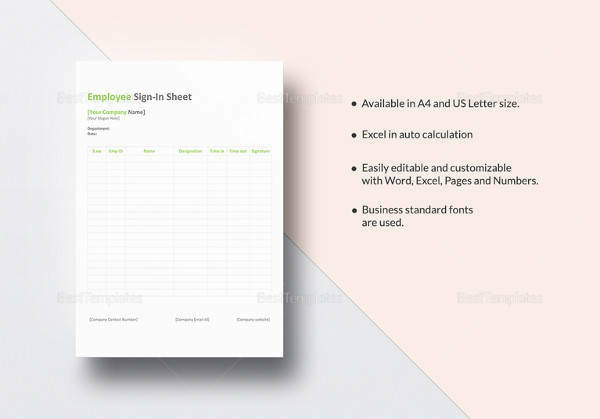 They are used for recording the entry and exit of the employee at workplace. 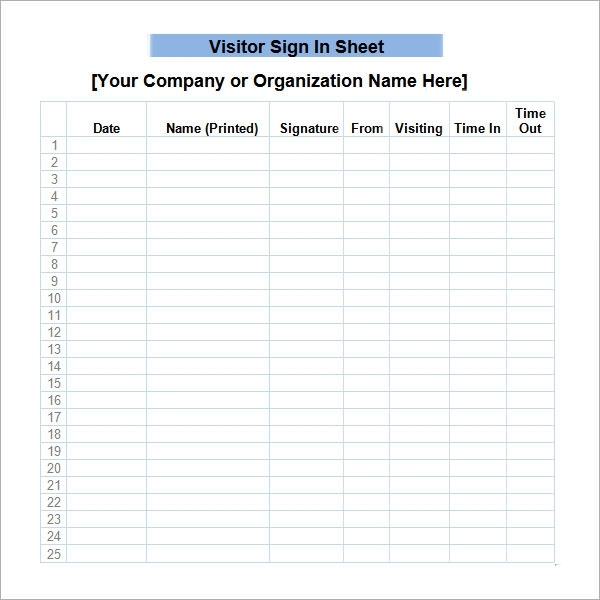 Visitor sign in sheets are helpful to track down the relatives and contacts in case of emergency or check all entry details for security of any campus. 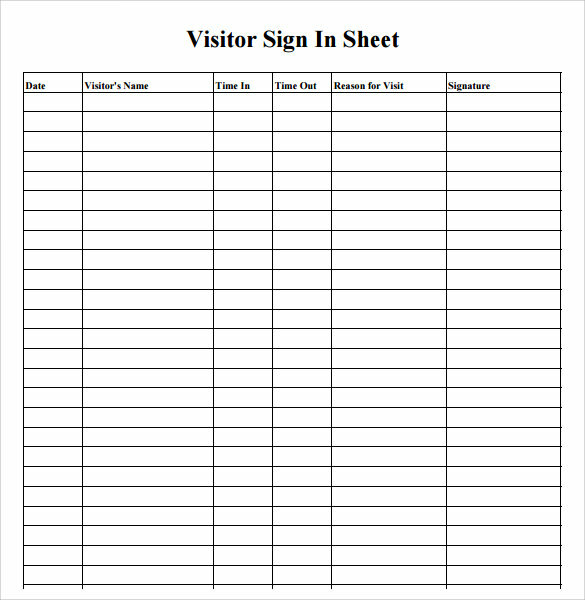 These sheets also involve the reason for entry as well as the name of person whom the visitor has to conduct a meeting. They ensure safety in hostels, research organizations, offices etc. 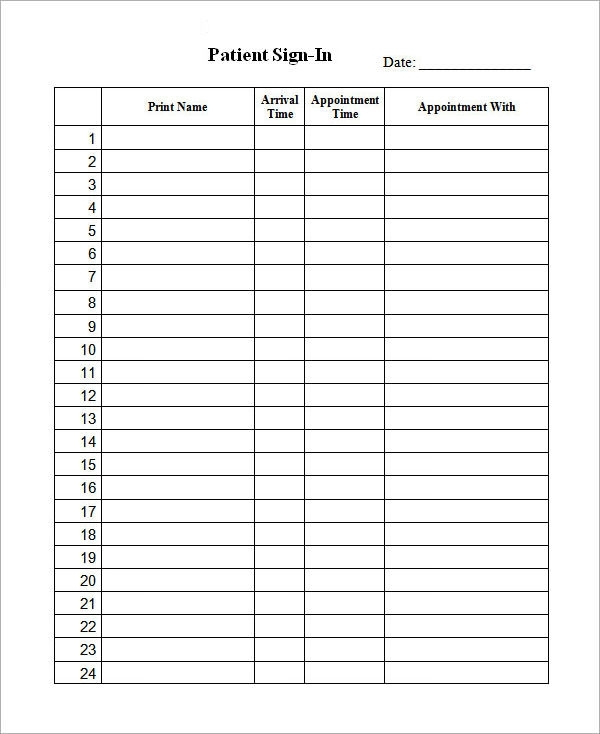 These sheets are maintained as a check list to ensure that the patient has properly taken all medications on time and a regular checkup by the doctors and a follow up by the nurses has been performed.You may also see medical sign in sheets. 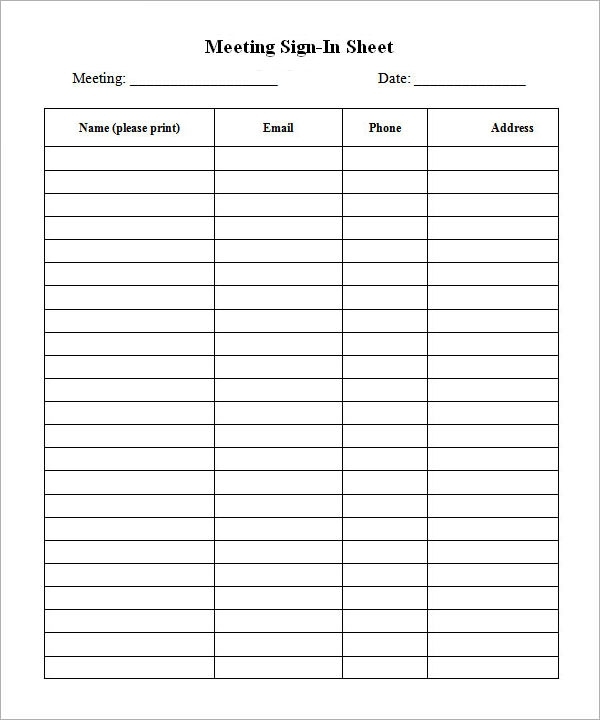 Grand events like seminars, meetings have these sign in sheets being circulated to get all the details in record as soon as the event starts. They help the organization to develop contact with the people who are interested in future correspondence with organization. 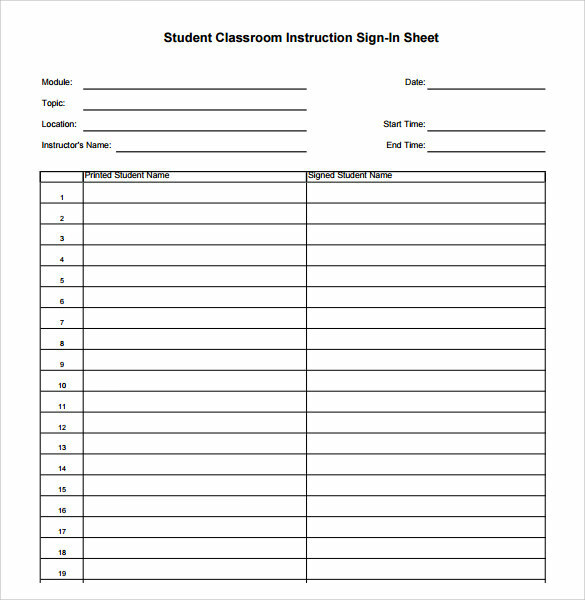 Big certification courses conduct seminars and get students data and it becomes easy for them to contact the students even after the seminar concludes.You may also see doctor sign in sheets. 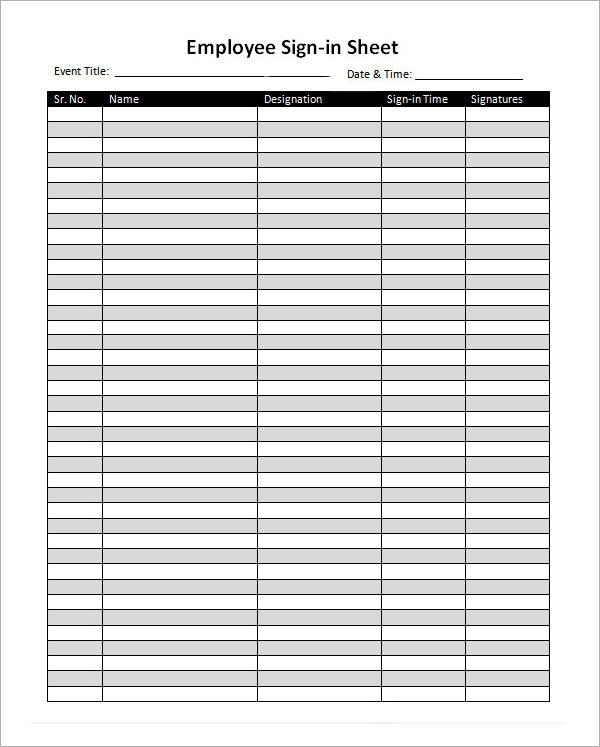 Various conventions, open house discussions and big business meetings have these sign in sheets to mark the presence and to develop a contact in business with potential business owners and clients.You may also see event sign in sheets. 10. 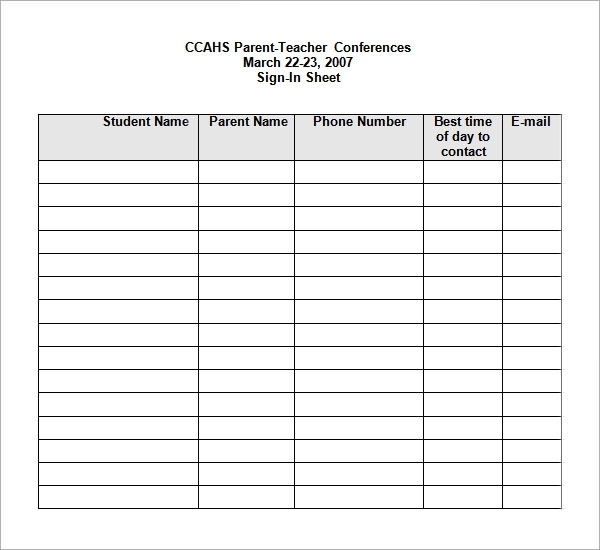 Corporate and research Conferences. 1. 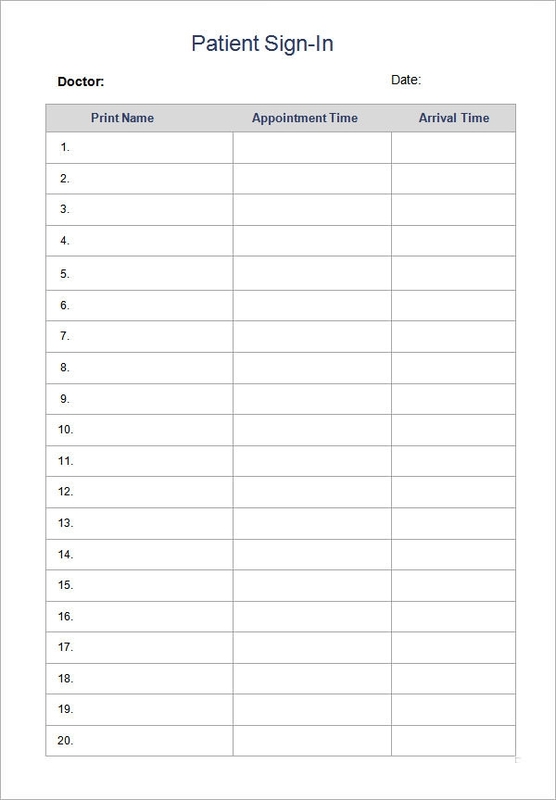 Useful for the organization to keep records. 2. 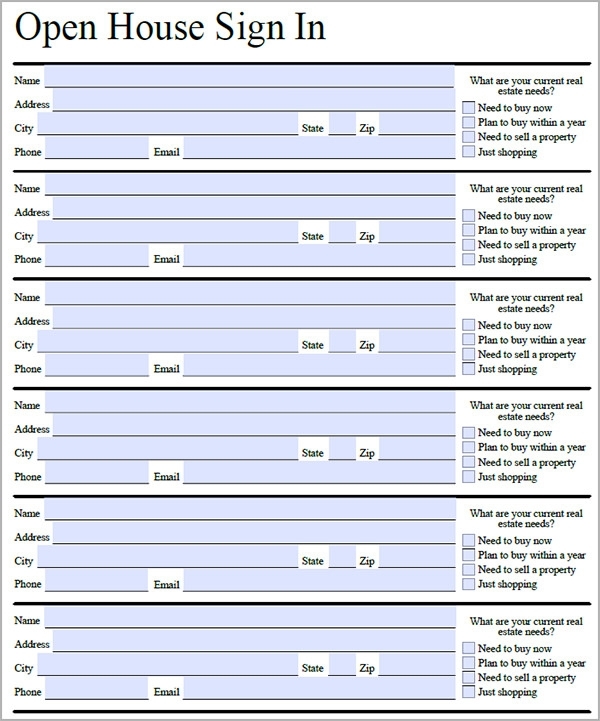 Gives all contact details to progress business with more people. 3. Helps send information to students and people about new release of certification courses. 4. Bottom line to connect with more and more people. 5. 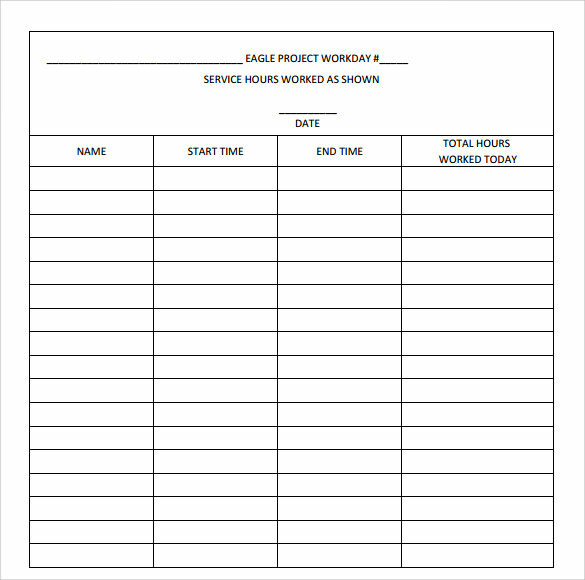 Helps the bosses keep a check on the staying time of employees in working hours so that they don’t fool the organization and stay out of work during working hours..
1. 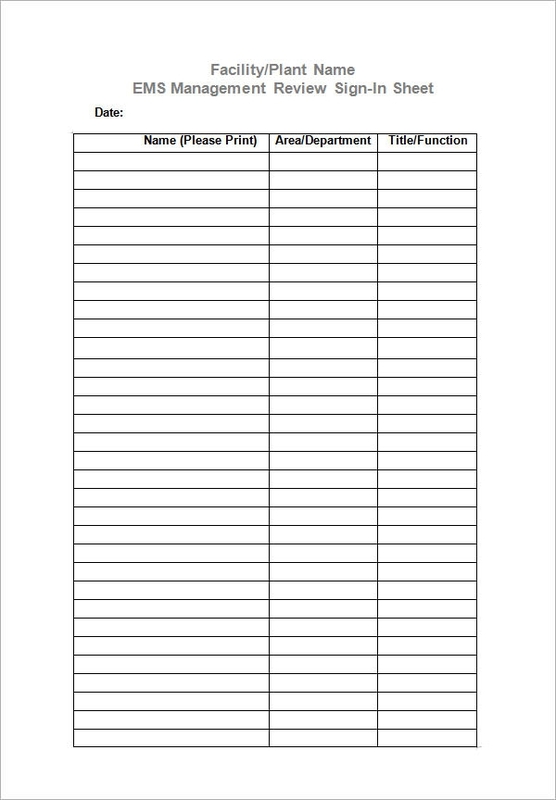 Make a column for date, name, designation and place in sign in sheet. 3. 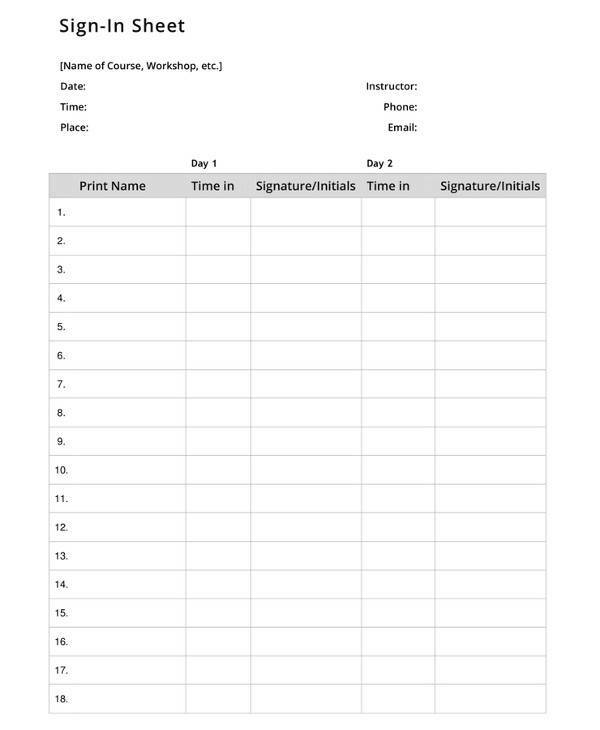 Maintain a column for the serial number so as to count the people entering. 4. 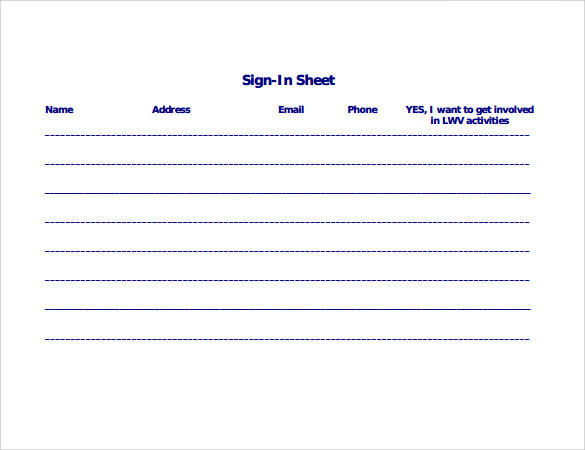 Add a heading to these sheets as why the event was conducted. 5. 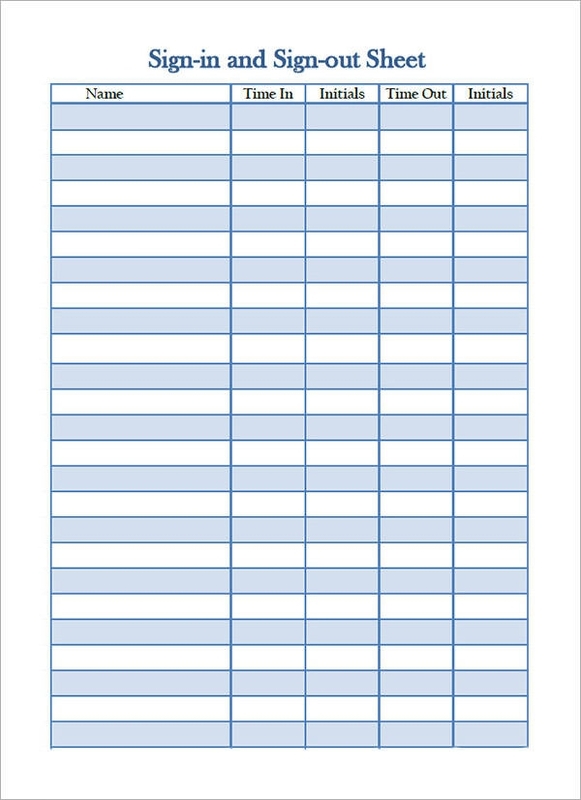 Make personalized sheets for patients. 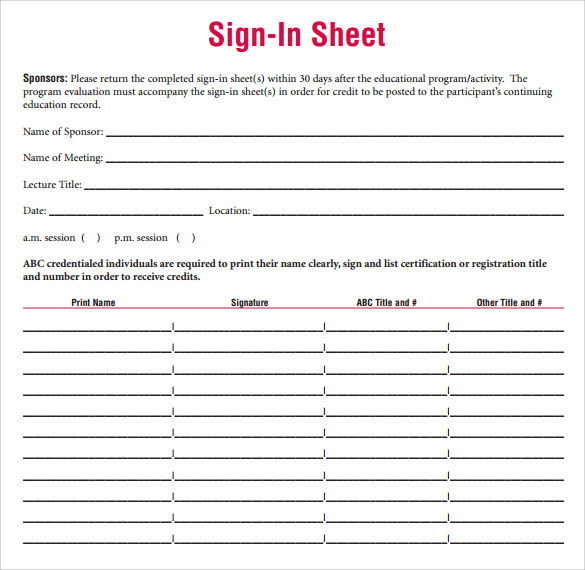 We provide customized sign in sheets for any event or for organizations like hospitals, institutions etc. 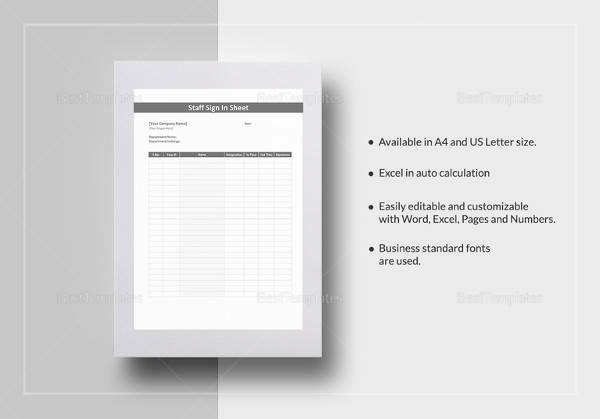 We give excel sheets, word documents, pdf formats which are easily compatible with all the software.You may also see sheet templates.